This month was a roller coaster of emotions. My skin was looking pretty damn clear, I was riding a high and then I did two things to mess it all up. I tried to incorporate an AHA because I couldn’t leave well enough alone and I tried on like six lipsticks at Sephora. I used Avène’s Cleanance K which many people seem to love and is easily accessible in Canada at Shopper’s Drug Mart. I honestly don’t know if this is what made me break out, but I suspect that it was some combination of the Avène and sensitive Accutane skin. It was only on one side of my face and then it developed on my other cheek in a similar pattern. Making it difficult to discern at first whether it was caused by touching my face or using my phone. Then I developed three cysts on my chin. And the spots on both sides of my cheeks got at least 3x as bad by the end of the month. I could barely go to the gym and I definitely couldn’t wear foundation without it looking 10x as bad. It was definitely the worst my skin has ever been and despite the comments I knew it would be worth it to push through and wait for it to pass. At it’s worse it was about twice as bad as this. These were the giant cysts that developed, and not in the same place that I usually got them. The second incident that coincided with the first was an allergic reaction six lipsticks were from the NARS Audacious Line. Because of the quick reaction I had (24-28 hours) I assume it was allergic and not bacterial. From the list of ingredients I’m guessing it was the Candellila wax as I haven’t had a lipstick with that ingredient before. But there was dryness, small sores on my upper lip and the corners of my mouth were completely cracked. Edit: I tried the lipstick again after my breakout passed. I definitely felt discomfort/itchiness once again but no sores appeared because I applied the Lamasil/Hydrocortisone cream during/after application. Dryness – Centred around breakouts, and a bit on forehead easily taken care of by cream. Small patches of dry skin on my eyelids along with nasal dryness. Joint Pain – Some in hip joints, worsening/more consistent than the last month. 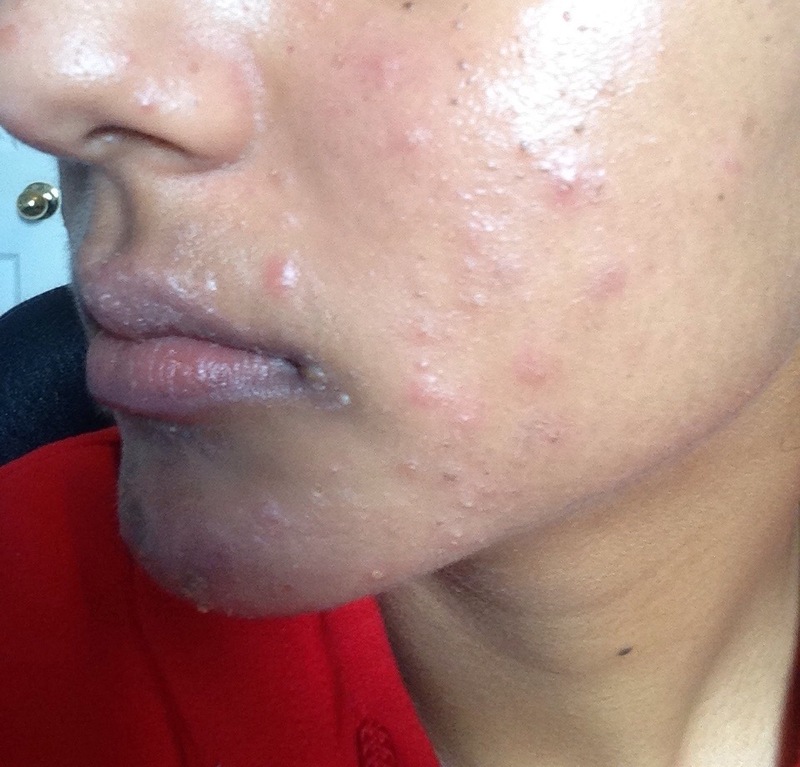 Lamasil + Hydrocortisone Cream: Prescribed by the doctor, it got rid of my allergic reaction symptoms in 3 days. Although the cracking at the corners of my lips took about 3 weeks to disappear. Avène Antirougeours was my saviour. When my skin was at its worst I could not apply foundation over it as it would simply flake and gather and look absolutely horrible. The Antirougeours at least took away the redness so my skin didn’t look as irritated. I believe this is marketed for eczema but it works well on less serious issues. 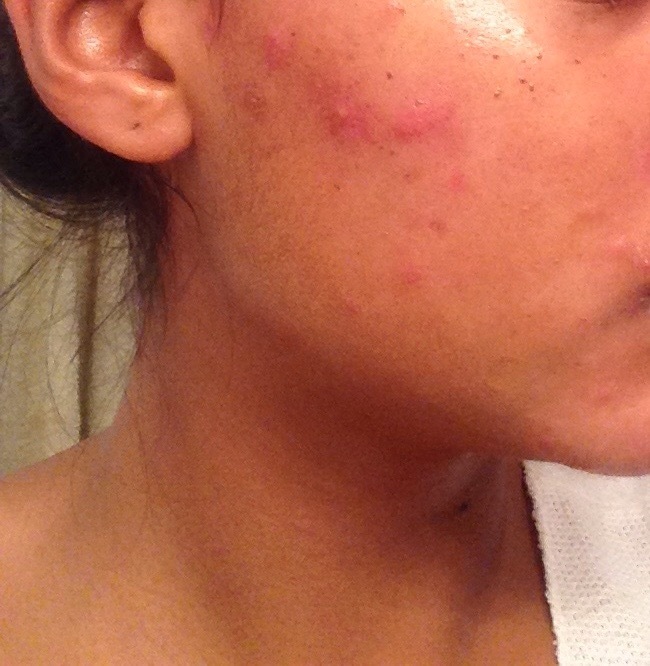 Arbonne Gently Daily Cleanser/Facial Serum were the only cleanser and cream that calmed my skin. Many times throughout the day I just wanted to itchy away at it but this cleanser gave me a lot of relief. And at night I applied the serum and felt much better going to sleep, knowing that in the morning my skin would be less angry than the night before. I know that Arbonne has a reputation for an annoying selling culture and overpriced products but I do think this product was beneficial. Luckily I didn’t have to buy anything because my dermatologist had given me a sample pack of this which lasted me the week and a half of horror. Emu Oil to mask the flaky skin from breakouts. Just because you don’t suffer from a certain side effect in the first two weeks don’t discount the possibility that it can still happen to you. I never thought I would get a major breakout in the third month and yet I did. I was not prepared for it and it took a major blow on my daily activities and mood. I can’t even begin to imagine how I would have dealt with it if I was still in school or working. 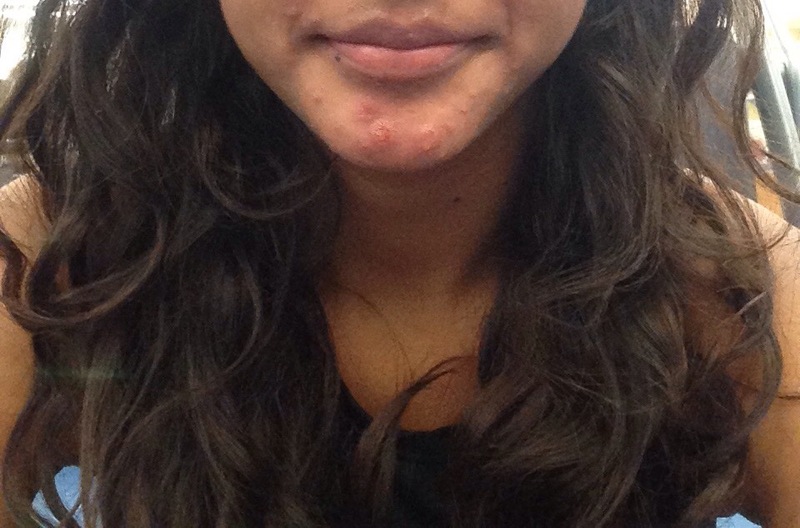 Posted in Skincare Addiction and tagged accutane, acne, avène, breakout, skincare. Bookmark the permalink.